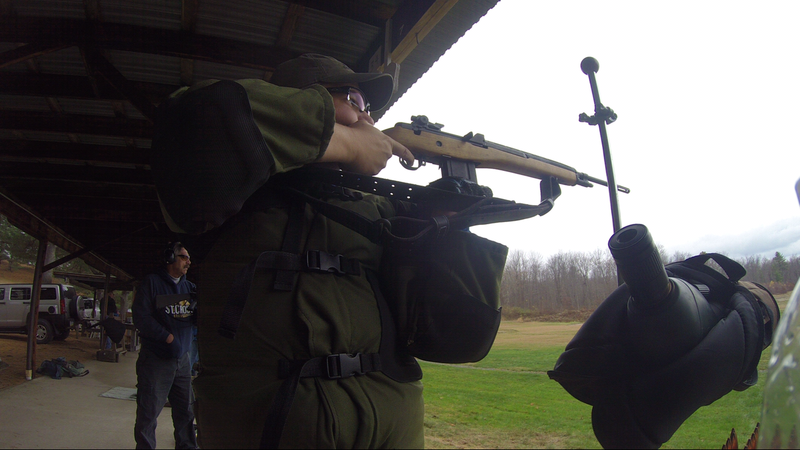 The Blonde Bomber Visits the Poconos: WBRP M14 Match. I’ve been working on a M14/M1A build for a few years now. 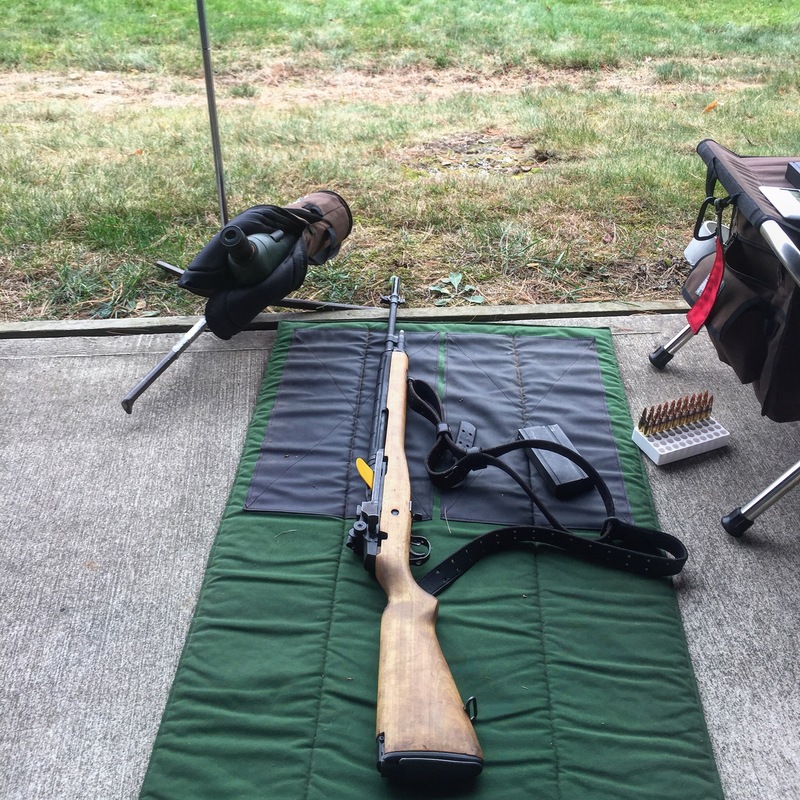 At the 2014 National Matches I picked up a “blemished” M1A receiver from the Springfield Armory shop at commercial row. Over the winter I found a deal on a rack grade TRW GI parts kit. Then this summer Springfield Armory had a package deal on a mid-weight NM barrel and bolt installed while I shopped on commercial row that. I couldn’t it pass up. After some tinkering and trying to figure out how to put these rifles together, the “Blonde Bomber” was born. If you haven’t guessed she gets her name from her very yellow blond birch stock which is a stock I picked up at the CMP north store. 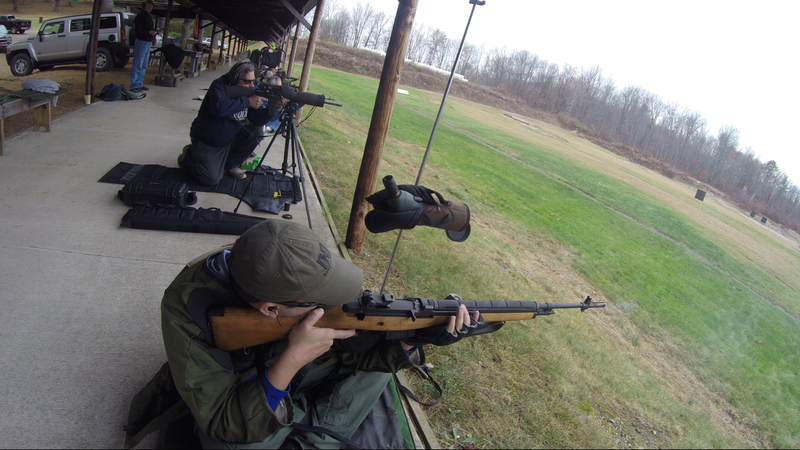 The GTB Shooting Team headed up to the Poconos to Wilkes-Barre Rifle & Pistol Club with our M14s. 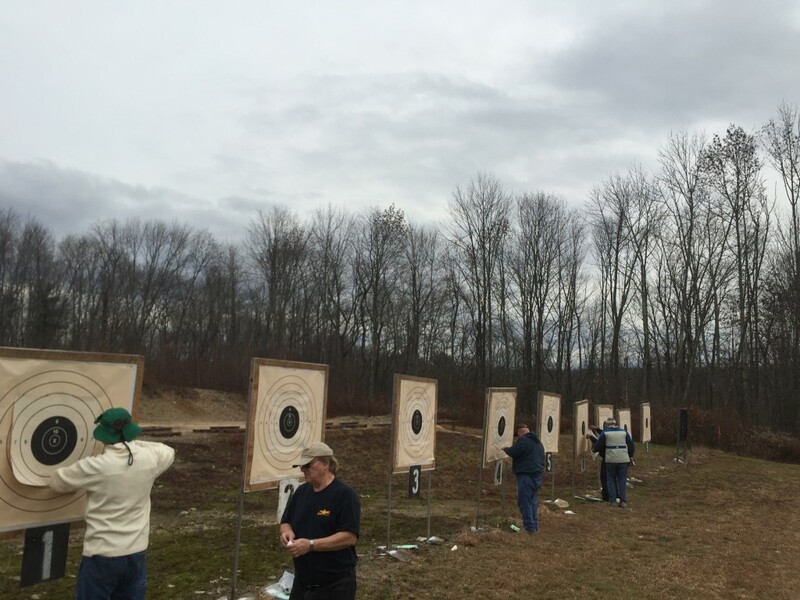 It was in the mid 60’s and just a bit overcast up in northeast PA.
WBRP runs a reduced 200 yard CMP National Match Course walk and paste match. 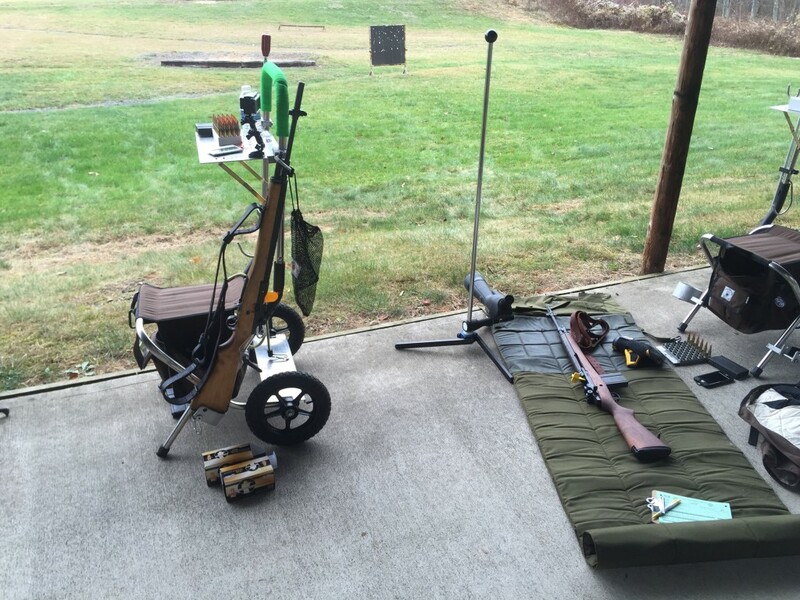 It’s a nice club to shoot at with luxurious covered firing points. Since it’s a CMP match all stages start from standing which is good practice for EIC matches. This format is also nice for trying new things since it doesn’t count for EIC points and it doesn’t affect NRA classification. Shooting the M14 is interesting. In off-hand I like it better than the Garand but not as much as I like my A2. I weighted my stock which helped me slow my wobble a little. It also has a long magazine which is nice because I have short arms and this hold helps me keep get a better cheek weld in off-hand. Sitting. Oh boy did the Blonde Bomber push me around in sitting. I gave up a far too many points in sitting because of this. That said, I think with some time I can clean up the sitting position. Rapid prone when fairly well. Both my shooting buddy and I kept 9 rounds in the black and popped a 6 each… not sure what that was about. Reloading these things might be harder than a Garand or at least I have trouble with rocking in a mag. It otherwise handled like a Garand in rapid prone. I haven’t set up to handload for 308 and I wasn’t impressed with the box of PPU I had shot to check function. 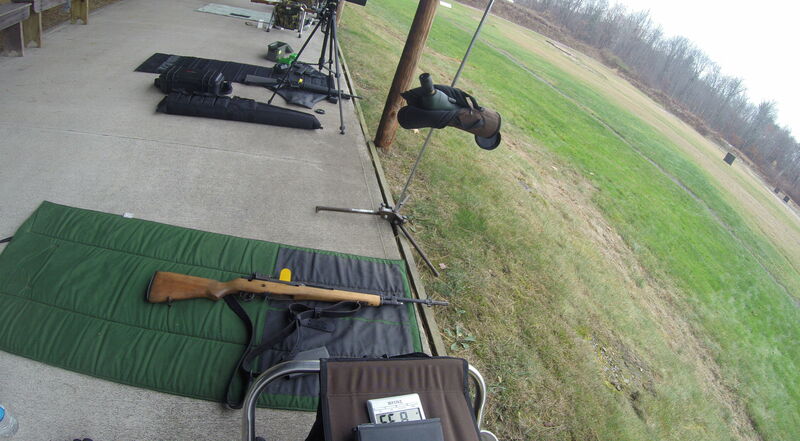 Creedmoor sports 30-06 served me very well in my bolt guns at Camp Perry so I picked up a case of it for this match. Just as it had at Perry this ammo didn’t let me down. I continue to be impressed with Creedmoor’s ammo. In the end I am happy with my performance and the performance of the Blonde Bomber. It was a great match I look forward to going back to WBRP next season. 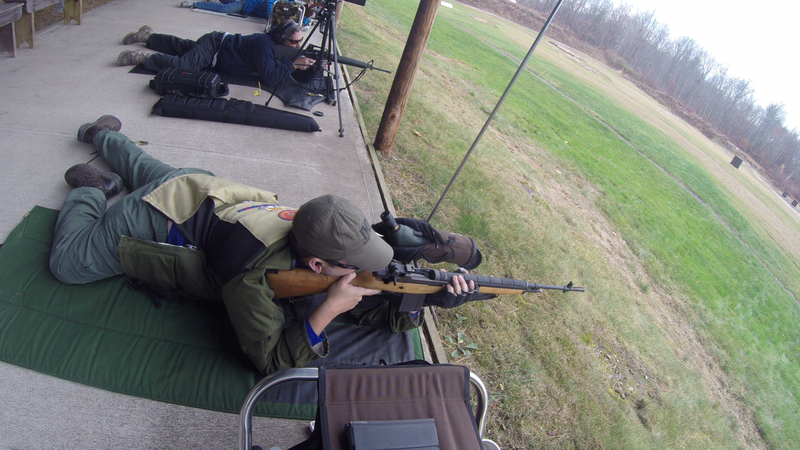 As far as the Blond Bomber, I’m not ready to give up my White Oak AR and take the Blonde Bomber to the NTI in 2016 but for sure I’ll give it a try at the M1A match at Perry.